Many educational institutions have very little information available on their student’s habits and behaviors. This is unfortunate, because factors such as first-year student drop-out rates, average course completion times and average graduation scores form a critical part of an institution’s success. In response to this challenge, Unisa has joined a world-wide solution called Shadowmatch®. The objective is to support Unisa students, during each step of their journey, in order to ensure that they fulfil their academic potential and succeed in all courses and graduate in the shortest possible time. Unisa will be the first South African university to implement Shadowmatch® on this scale. Meet the team that’s ready to take Shadowmatch® to the students: Hanlie Liebenberg (Senior Specialist: Institutional Research), Prof Les Labuschagne (Executive Director: Research), Yuraisha Chetty (Director: Institutional Research), Prof Oupa Mashile (Executive Director: Tuition and Facilitation of Learning), and Dr Elizabeth Archer (Specialist: Institutional Research). In 2012/2013, Unisa’s Directorate of Institutional Research commenced with a pilot assessment to investigate the suitability of Shadowmatch® in measuring non-academic risk in the Unisa context. Shadowmatch® creates a benchmark profile or shadow of the behavioural habits of the top performers in each area of study. Following a series of consultations and engagements with key stakeholders, the Directorate of Institutional Research will be rolling out this tool across the institution by mid-August 2014 after semester 2 registrations have stablised, and students can participate free of charge. 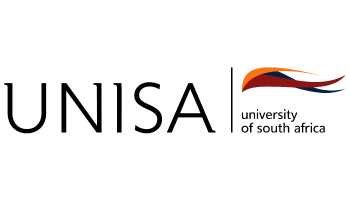 The project aims to assess non-academic risk and readiness of students at Unisa and to provide personalised interventions to facilitate student success. The project consists of two phases. The first is the assessment of students who have already graduated and performed well to establish a benchmark, the second is to assess students still busy with their studies to compare their habit profiles with that of the benchmark. The project has been approved by the Senate Tuition and Learning Committee (STLC) and has the oversight of the Student Success Framework (SSF). To achieve successful roll out of the project, the Directorate of Institutional Research is inviting academics to engage with Shadowmatch®. It is a sophisticated worksheet that will map students’ (registered for modules) behavioural habits to determine their strengths and how they prefer interacting with their environment. Unisa staff can use this tool at their own convenience in order to help identify students at risk. Ethical clearance has been obtained, providing academic staff with the opportunity to also use data for their own research purposes and publications. Shadowmatch® will provide benefits to students without any staff intervention. Staff who choose to fully utilise the tool will have access to additional data and tools to support their students after a short online training programme. The Directorate of Institutional Research has visited a number of schools and departments in colleges to provide more detailed information about the Shadowmatch® project. These roadshows will also continue during implementation, if colleges express a need for ongoing engagement. Shadowmatch® originated from academia and was developed as a result of the following question: Why do some top students from high schools fail at university and why do some succeed? The research delivered some interesting results. Endorsed by students from all over the world, Shadowmatch® has proven to contribute to the knowledge that academic institutions have of their students and provide support to improve student success. As an integral part of an overall student success framework, Shadowmatch® is a unique differentiator for both the student and the institution. What attributes does Shadowmatch® measure? Article issued by UNISA. To view their profile on SAstudy, click here.